New to StayInBNB? Here’s everything you need to know about how we’re revolutionizing vacation rental management. Q. WHAT MAKES StayInBNB DIFFERENT? StayInBNB is on a mission to redefine vacation rental management. We focus on the complex task of marketing and booking your home, and give you the flexibility to configure on-the-ground services to your liking. Our fresh approach to vacation rental management means you get unbeatable performance and unrivaled flexibility − all for an industry-low booking fee of just 10% for our Marketing Management option. Q. HOW DOES StayInBNB WORK? Never pay for marketing again. 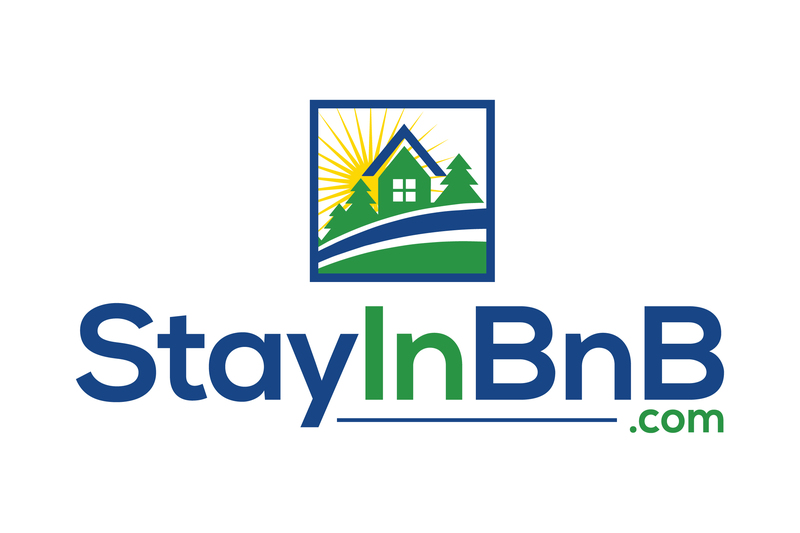 StayInBNB creates a professional and highly enticing listing for your property and promotes it on the top vacation rental websites, at no cost to you. We’ll even send a professional photographer to your property for low nominal fee! Manage onsite services your way. StayInBNB gives you a full range of options for managing on-the-ground services, including self-service, continuing to work with the people you already know and trust, or working with one of our vetted local partners. Discover true peace of mind while renting. Every booking is protected by our industry-leading Property Protection Plus program with up to $1,500 in damage protection. Enjoy a more profitable rental – entirely risk-free. There’s only a small cost to join, no term commitment and no hidden fees – just our incredibly low booking fee of only 10% for our Partner and Marketing Management Options! Q. HOW DO I KNOW IF MY PROPERTY IS A FIT FOR StayInBNB? Your rental must meet StayInBNB’s 4 Core Property Standards, which are that every guest should arrive to a property that is Safe, Clean, Guest Ready and As Advertised. Your StayInBNB calendar must be kept up to date at all times to avoid the potential for double bookings. Naturally, your rental will appear on the StayInBNB Vacation Rental Network website, which is enjoying a rapidly growing reputation among travelers as the best site for curated, quality vacation rentals. We also distribute your property on the major marketplaces for vacation rentals: Booking.com, VRBO, HomeAway, Airbnb, FlipKey, and TripAdvisor – but that’s not what makes our promotional efforts work so well. Every listing site has its own algorithm for determining which properties will appear first in the search results, and it can be very difficult to crack that code to keeping your rental at the top of the results. We’re devoted to ensuring your listing’s performance, starting with a professionally written and photographed listing and continuing through with ongoing analysis and optimization. Beyond our marketing efforts on the major listing sites, we use paid search and display ads to attract travelers who are looking for vacation rentals online, and our database marketing efforts will help to encourage past guests to book over and over again. Put simply? StayInBNB properties get more travelers to book, and we are constantly – apologies for the pun – evolving our strategy. You’ll see our unrivaled flexibility at its best when it comes to providing on-the-ground services to your guests. It’s our belief that owners know best how to service their properties, and we give you a full range of options for doing so with StayInBNB, including self-service, continuing to use your own trusted partners, or working with one of our vetted local partners. You don’t want to leave money on the table at any time of year, and StayInBNB’s dynamic pricing strategy is designed to ensure that you always get the most bookings at the best possible price. To establish the optimal rates for your home, our analysts will start by performing an in-depth review of comparable rental properties in your area. Our dynamic rate engine will then continue to optimize your rates on a daily basis by accounting for a huge number of factors including occupancy, seasonality, and fluctuations in demand. We know that rock-bottom pricing is an owner’s worst nightmare, which is why our pricing strategy includes an essential precaution: we will never book your home for less than the “Minimum Nightly Rate” that you have pre-approved for a specific time period. That way you get the best of both worlds – no cut-rate prices, but no empty months on your calendar, either! You may already know that it’s essential to answer traveler inquiries within minutes – or risk losing the booking. We’ve eliminated the need for homeowners to be on-call around the clock with our in-house team of Travel Advisors. They respond quickly and professionally to every inquiry, pitch your property to past guests, and confirm reservations on your behalf. They’re available by phone, email, and live chat 7 days a week – including nights and weekends. Our Travel Advisors are also equipped to answer questions about your rental using the information we’ve gathered during the onboarding process. You won’t need to continually answer questions like “Which rooms have TVs?” – we’ll be able to give the traveler that information on the spot. We know ensuring you have respectful guests is essential to you, your neighbors, and your community, and we’re dedicated to providing the support you need to screen guests effectively. Our owners make their own rules for who is and is not permitted to rent their property, and we adhere to their requirements. If you would like to set an age limit, a stipulation that you do not rent to large groups, a no-pets policy, or any other restrictions on your guests, we will screen travelers accordingly. We’re pleased to report that of all the bookings we’ve made in the past year, less than 0.0003% of our reservations had a significant issue, and all of them were covered by our Property Protection Plus program. All StayInBNB bookings are processed using a credit card, and guest payments are sent directly to your bank account once per month in bulk. This is the easiest and safest system for guests, and offers you the advantage of collecting guest payments immediately. StayInBNB maintain a merchant account with our payment processing partner (PP). PP charges a credit card processing fee of 2.5% on payments made within the United States and 4.45% for international transactions. Yes! StayInBNB manages all pre- and post-stay communication with your guests. This includes booking confirmations, payment notifications, check-in instructions and review requests. We also provide direct communication with your chosen housekeeping service when a new booking is made, and reach out to your local contact directly if a guest reports an issue that needs in-person attention. In lieu of a security or damage deposit, StayInBNB homeowners are covered by our industry-leading Property Protection Plus insurance program. Guests pay a non-refundable fee of approximately $14.50 per night directly to StayInBNB at the time of booking your property. This fee provides you with up to $1,500 in property damage protection while guests are visiting your home. Damage protection coverage helps our owners avoid one of the common headaches of vacation rental: disputes with guests over what portion of the deposit to refund in the case of small accidental damages. The Property Protection Plus program ensures that you can easily get broken or damaged items replaced without having to dispute with – or upset – your guests. Per the terms of our Rental Agreement, guests are responsible for any damage not covered by, or exceeding the coverage of the Property Protection Plus insurance program. If such damages occur, StayInBNB has the ability to assess a post-stay charge directly to the guest on your behalf. Of course! You are free to block your StayInBNB calendar for personal use at any time as long as your property is available during your desired dates. However, if you’re planning to use your home for the majority of the year, our service might not be the best fit for you. We have an unprecedentedly low 10% booking fee for our Partner and Marketing Management Options, which is only charged when we secure a reservation on your property. There’s only a small sign-up fee with StayInBNB, no commitment to a contract period, and no cancellation fee. StayInBNB’s commission-based pricing structure means we only make money when you make money, which keeps us 100% motivated to maximize your rental income. Our owners don’t stick with us because they have to finish out a contract – they stay because they love the service they receive and the rental income they’re making as an StayInBNB owner. You can get started by speaking with the Regional Director for your area and completing a brief homeowner application, which helps us determine if StayInBNB can be a good fit for you. You’ll then sign up by agreeing to our terms and conditions, providing some basic details about your property. During the onboarding call you’ll set up an appointment for professional photography. We do ask that you follow our guidelines for preparing your property to ensure we get great results. Ready to make more bookings with less hassle? Click here or call us at 615.266.6002 to get started today.